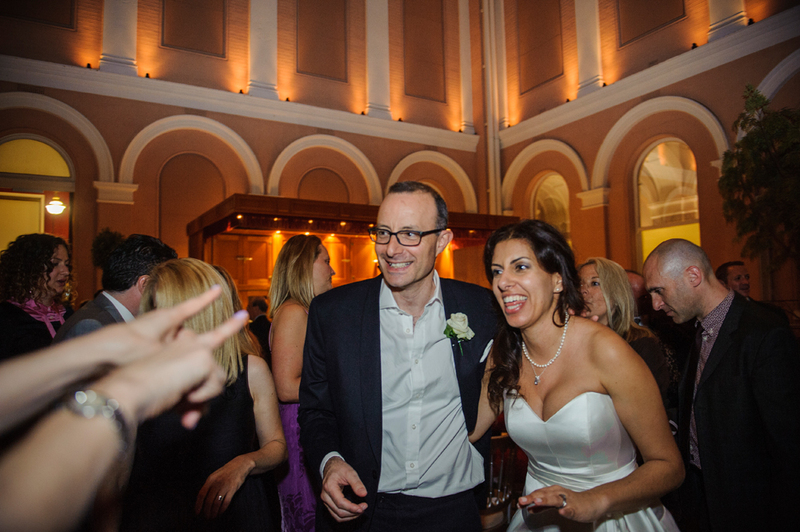 As the founder of Smashing The Glass it’s only right that I share my own wedding day, and all the creative ideas that were behind it, with you. 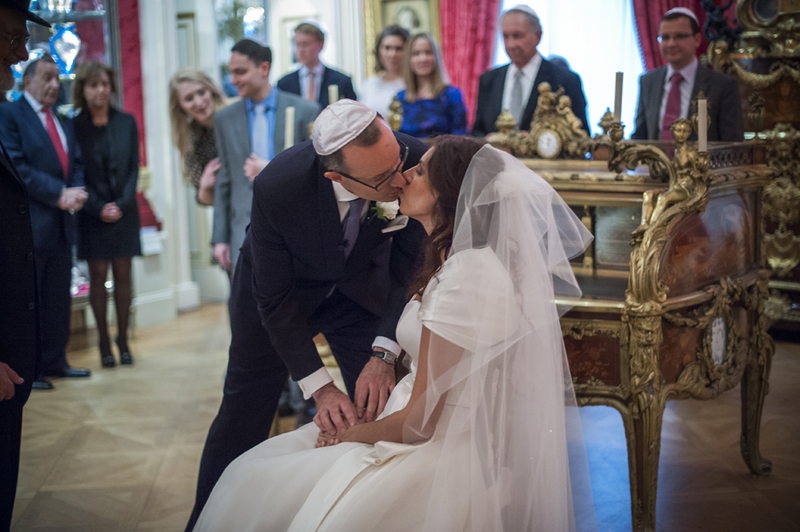 I love so many of the centuries-old Jewish traditions such as the hora, the beautiful songs, the chuppah, the smashing of the glass etc. 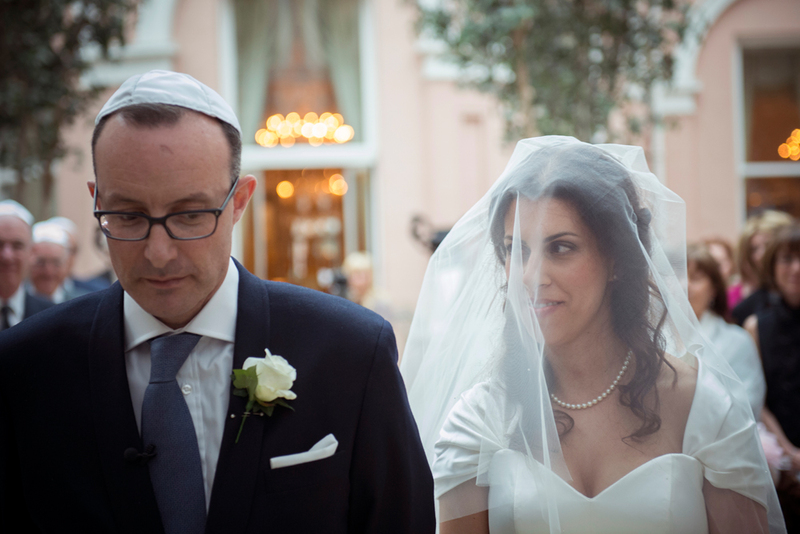 but what my now-husband and I very much didn’t want was a party that followed the typical London Jewish-wedding-by-numbers formula… ie. 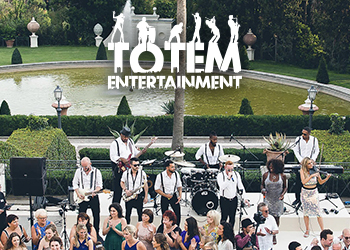 fancy hotel, too many guests, the same kosher caterer that everyone uses, the same band etc….. 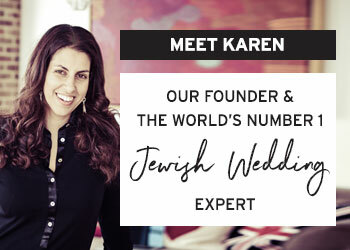 I had always dreamt of an outdoor summer wedding and that’s one of the reasons why I love Israeli weddings – the chuppah under the stars, the all-night party vibe, the abundance of food and having the ceremony and party all in one venue. 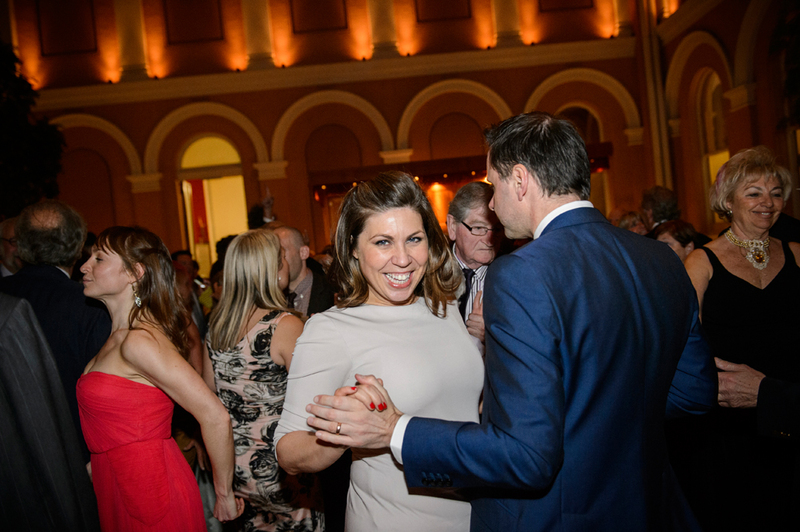 But when it came to organising our wedding it meant the world to us to have Jeremy’s 97 year old grandmother there and as she is unable to travel, a wedding abroad with guaranteed summer weather was out of the question. 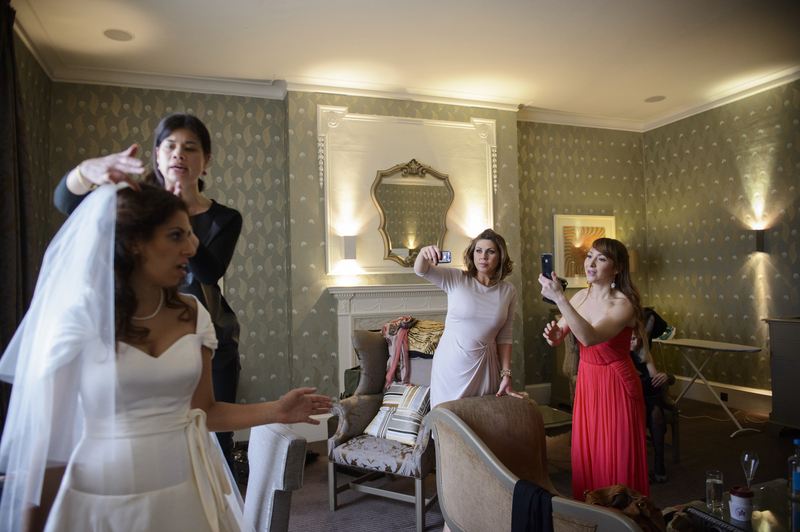 London, our home city, was our next choice and the criteria for a venue was to have a feel of being in the outdoors without worrying about the unpredictable British weather spoiling the party, and a stylish, intimate venue, preferably with an arty slant to reflect our creative sides. 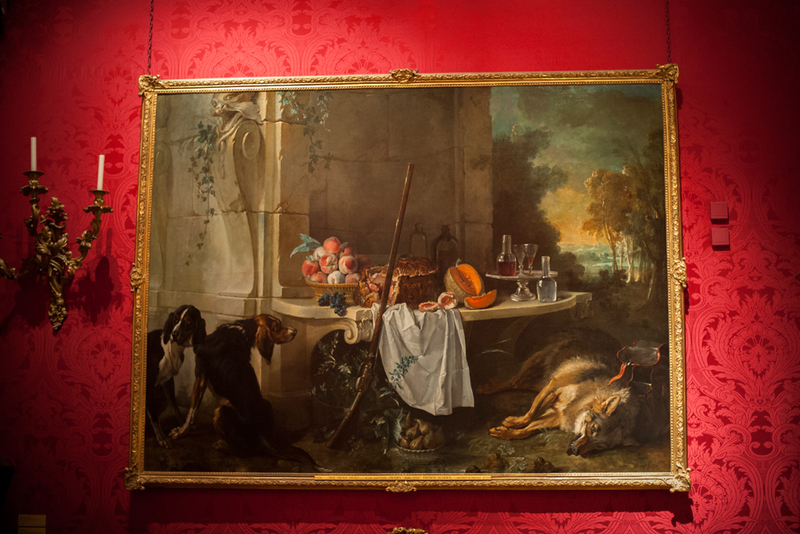 The Wallace Collection, once a family home, and now a stunning art collection, in the heart of the West End was our perfect choice. 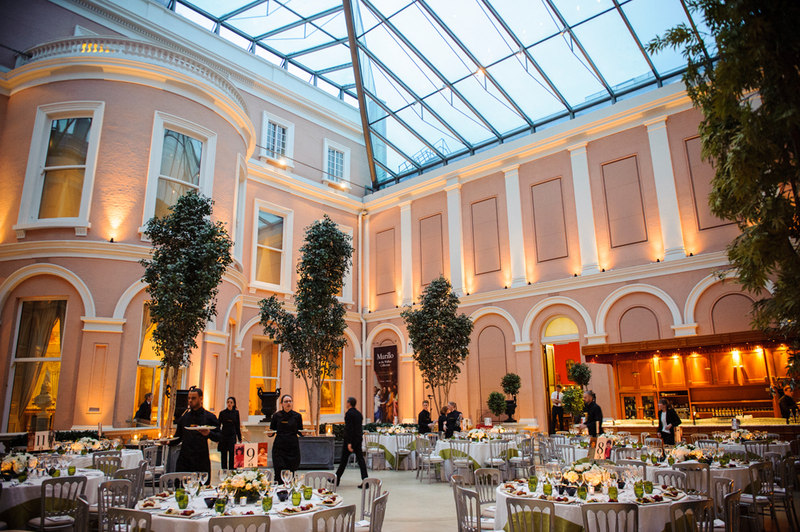 The stunning Courtyard flooded with natural light and dotted with trees and sculptures felt utterly al fresco, yet protected us from the elements with a phenomenal glass roof. Breathtaking and intimate at the same time, it ticked all the right boxes. 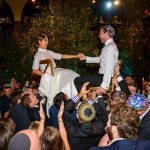 We wanted to have both the chuppah ceremony and the dinner dancing in the Courtyard to really feel as if the majority of the wedding was outdoors. 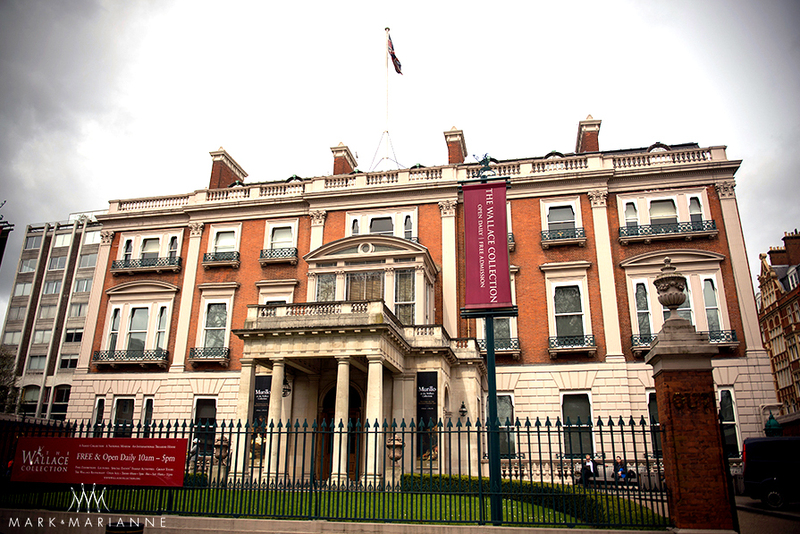 We also loved the idea of the changing daylight from the hopefully sunny (and it was!) afternoon to the starry night sky. 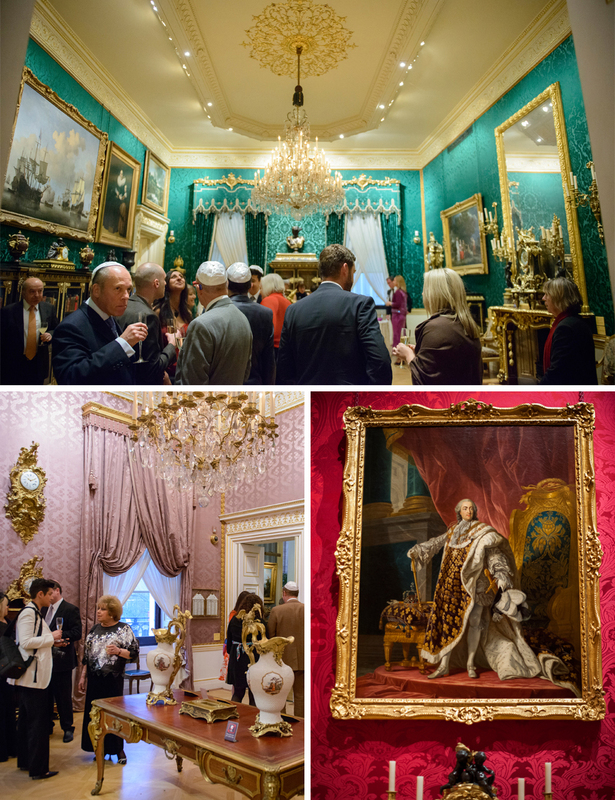 In between the ceremony and dinner our guests were able to look around all the artwork on the first floor of the house where all the galleries were open to our guests to meander round as they chatted, imbibed and grazed on Zafferano‘s (our chosen caterers) delicious canapà©s. 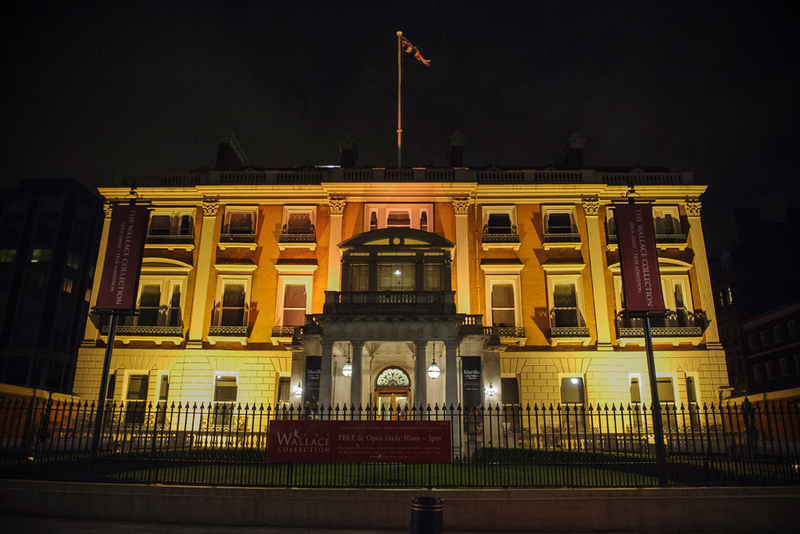 In terms of getting ready and spending our first night as a married couple, we stayed at the gorgeous Home House in Portman Square just a few minutes walk from the Wallace Collection. 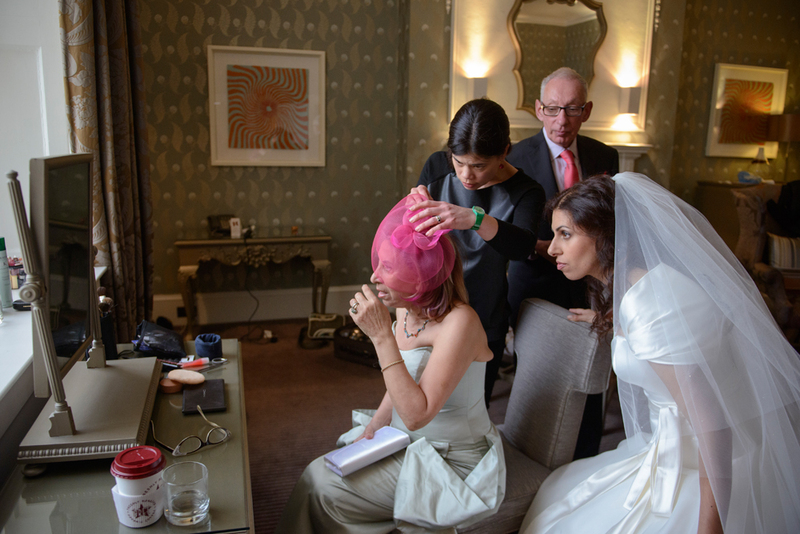 I wasn’t sure about investing in having my hair and make-up done professionally on my wedding day but quite a few of my married friends suggested that it was really worth it and made them feel extra special and I’m so glad I took their advice. I think it really helped that I had the most incredible person to work with: Jade Soar recommended by Sharon, the friend that set Jeremy and I up. Jade is simply amazing – she is just who you want to have around in those precious few hours and it’s true, she did make me feel like a million dollars. Make up artistry is her speciality but I was lucky enough to have her do my hair as well, and I was so pleased with everything she did. Thank you Jade! I tried a few London boutiques to start with to really establish an idea of what I was looking for. I was amazed how few dresses I really liked! There is a lot of lace around in response to Kate Middleton’s dress, and I am just not a lace person. I wanted something simple and traditional but with a modern edge with structure and draping. After no luck with several boutiques, a friend recommended Stephanie Allin in Chiltern Street. I met Stephanie at my first appointment and we clicked straight away. Her and her team were a joy to work with and really connected with what I wanted. Stephanie gave an amazing service and I ended up with a dream of a dress. I wanted to wear red shoes (a little bit of naughtiness underneath the virgin white dress!) and not finding anything in the shops, I ordered a bespoke pair from Upper Street. You can literally design any kind of shoe you want on this fabulous website but for me it was just a plain satin scarlet mid-heel shoe. 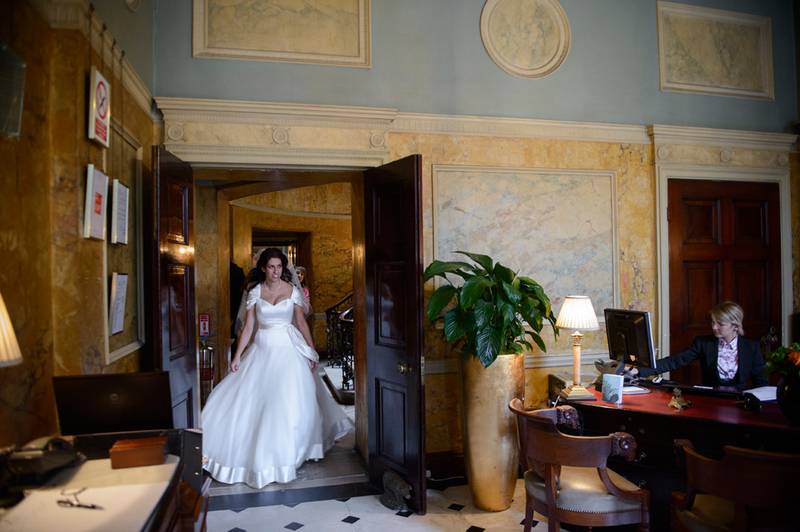 We didn’t have a visual theme, it was more about incorporating our personalities and that of our guests, and revealing to everyone a little bit about ourselves that they may not already know. So for instance our invitations (designed by yours truly) featured landmarks and images that were personal to Jeremy and I, plus pictures from our childhood. 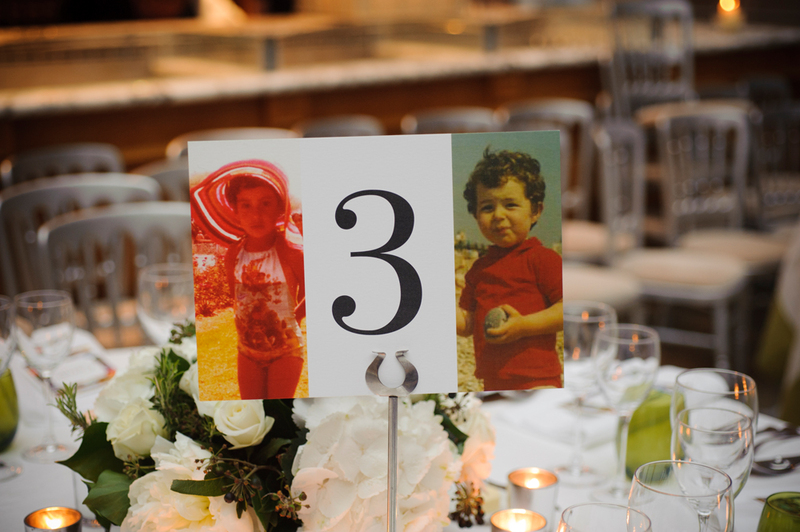 On the dining tables there were pictures of Jeremy and I at ages corresponding with the table numbers, and a personalised menu / place name for each guest with a message written especially for them. We knew we wouldn’t have a lot of time to talk to everyone on the day, so we spent some time before the wedding writing personal notes to everyone at the wedding which we then had printed underneath their names on their menus / name cards. It took a bit of time but we really wanted each and every guest to realise how much we wanted them there and what they meant to us. 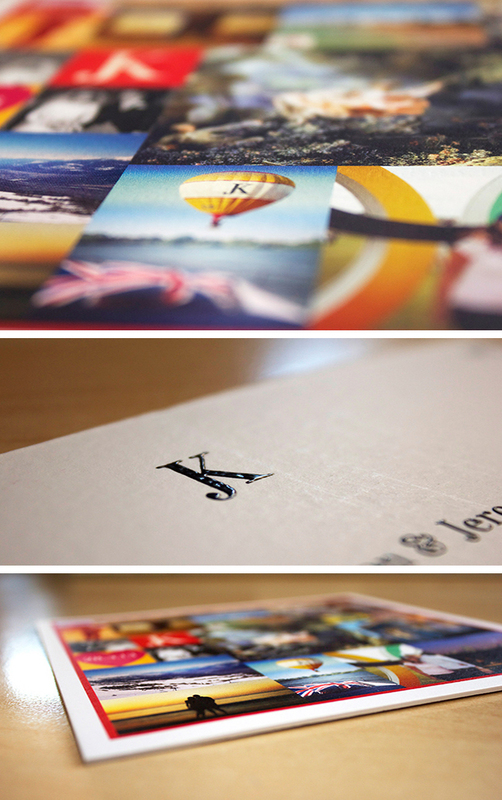 To read more about the stationery branding for this wedding, see this post all about creating a wedding monogram and tips on branding your big day. 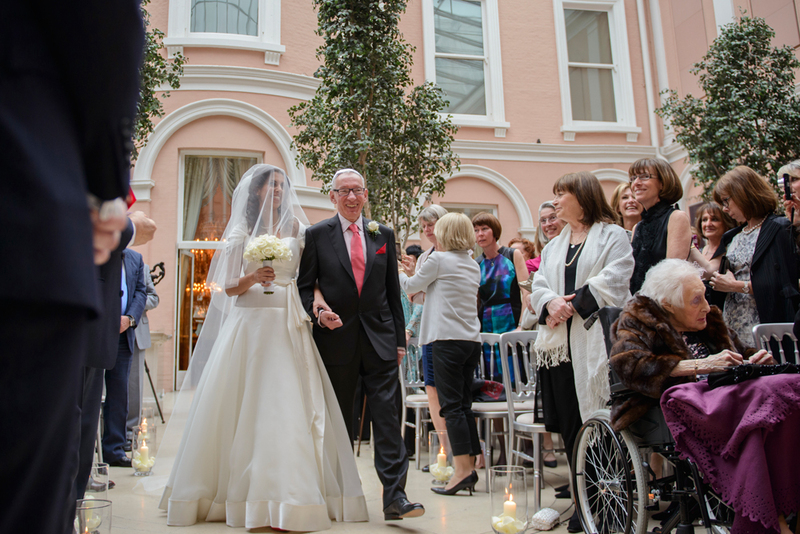 Our ceremony took place in the beautiful courtyard of the Wallace Collection. We had lots of candles and greenery but otherwise kept the decor very simple. 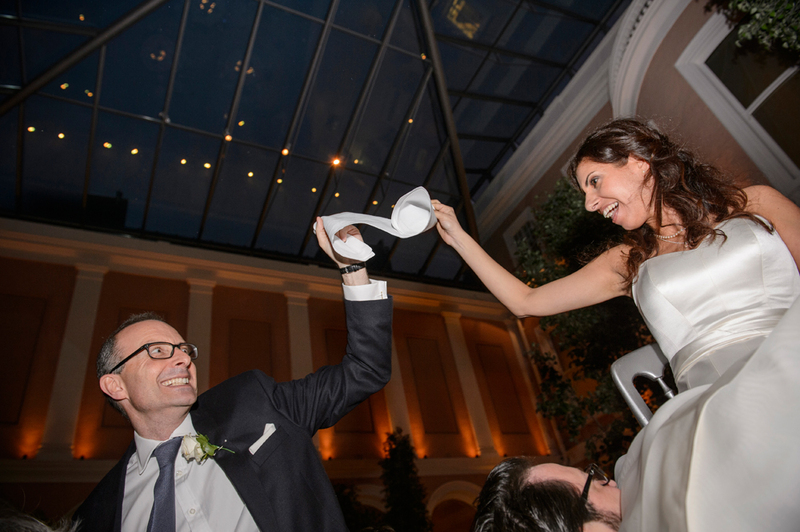 We were lucky enough to have the amazing Endyminion String Quartet play as we came down the aisle. They played Barry White’s ‘The First, My Last, My Everything’ for Jeremy, and “Jerusalem of Gold” for me. 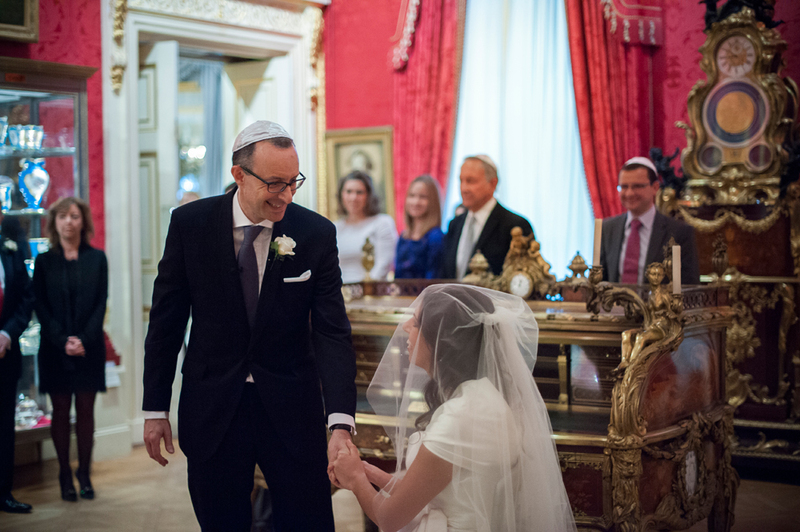 They also did a wonderful ‘Mazal Tov/Hava Nagila’ medley on the strings when Jeremy smashed the glass. 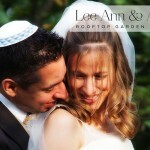 They are so versatile and Amy Fields was a dream to work with in the weeks leading up to our wedding. Highly recommended! 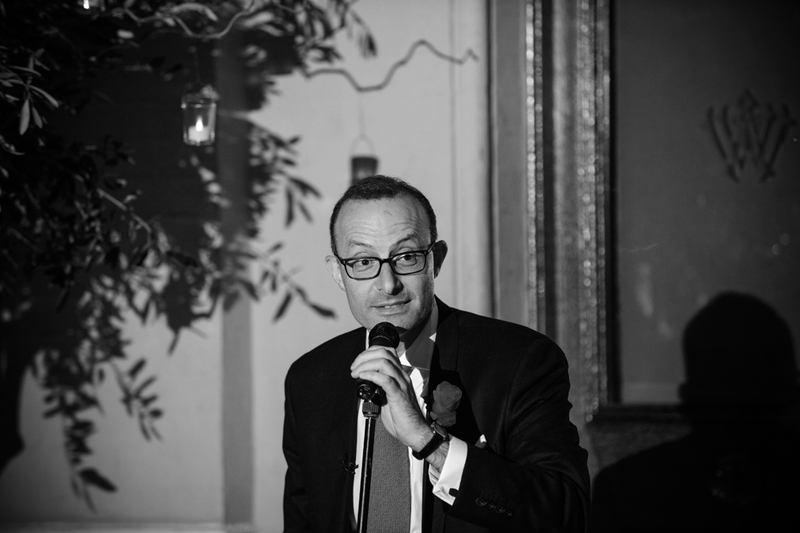 We were also lucky enough to have Jonny Mosesson sing during our ceremony too. 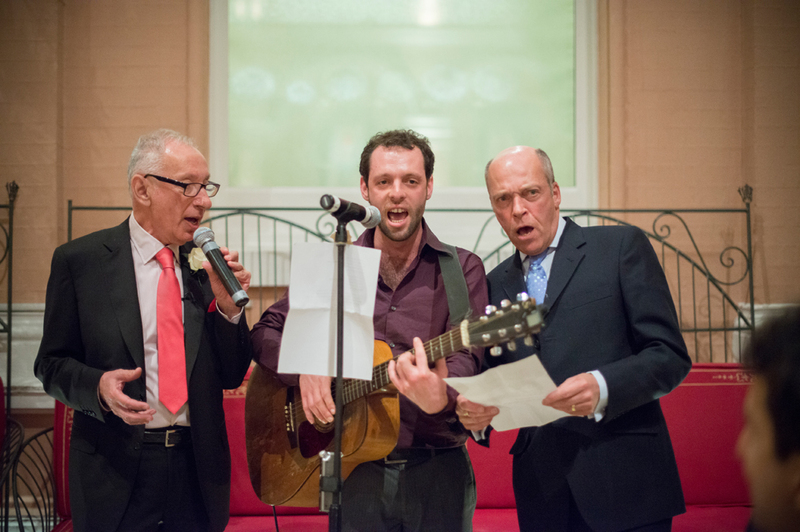 His voice and musicality are truly special and so many of our guests commented on his beautiful singing. 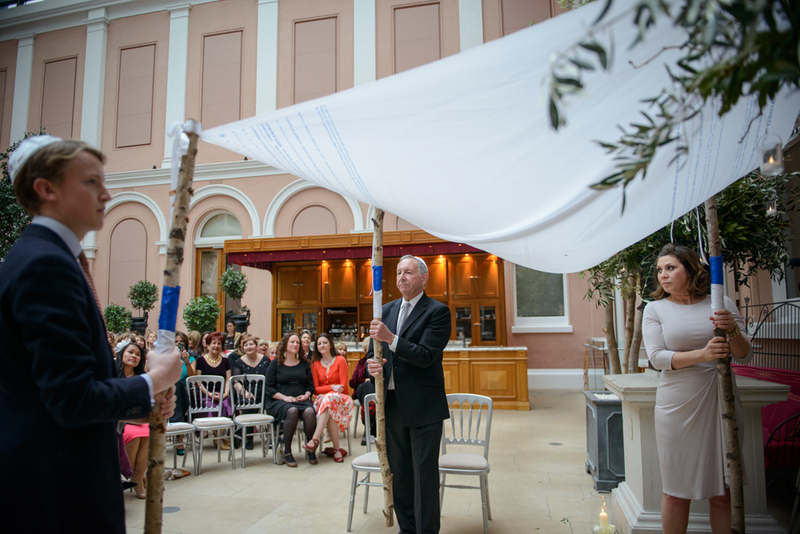 We wanted to stand under a ‘personal’ chuppah too so we asked some of our guests to contribute to our chuppah design to help make our wedding ceremony all the more personal and symbolic for us. 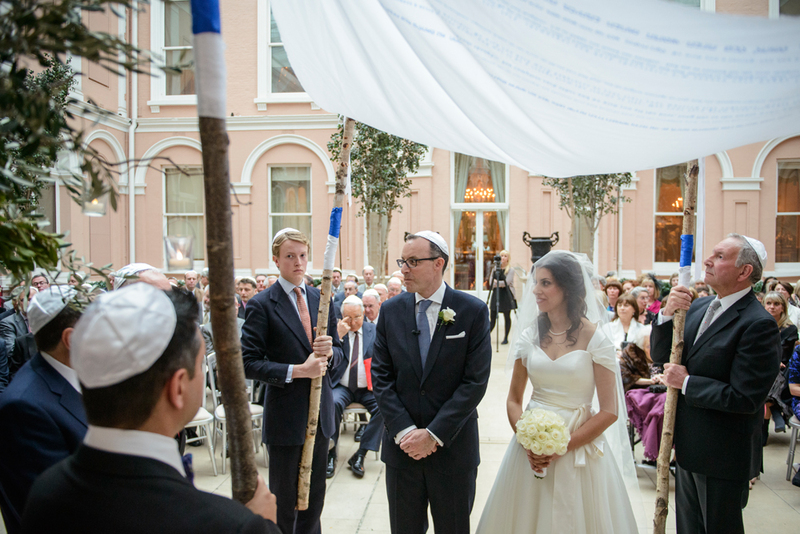 We asked them to compose a short message (in English or Hebrew) that we then incorporated into our chuppah canopy design. This was also a lovely way of including guests from abroad that weren’t able to attend in person. 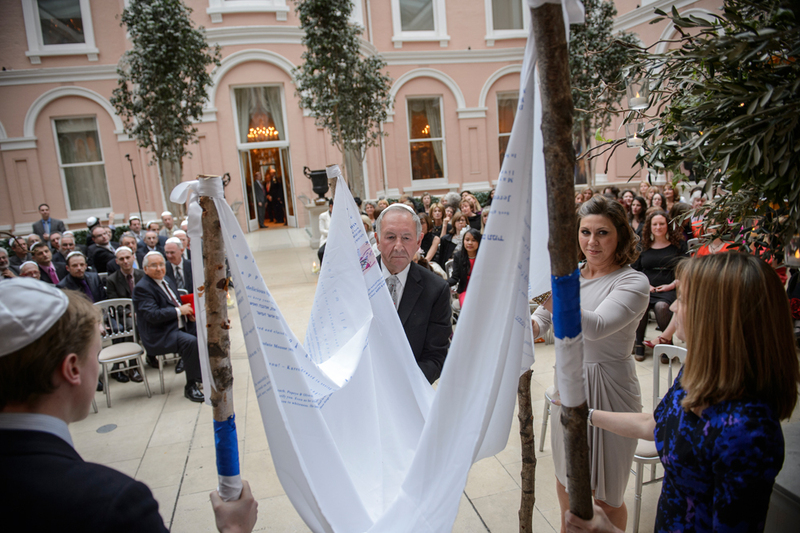 Keeping with the ‘personal’ theme we chose four significant people to hold each of the four chuppah poles including Sharon, our Irish Catholic mutual friend that set us up. I surprised Jeremy after the ceremony by adding to my string of pearls another necklace with my new initials for the reception and party. I bought it from Not On The High Street. 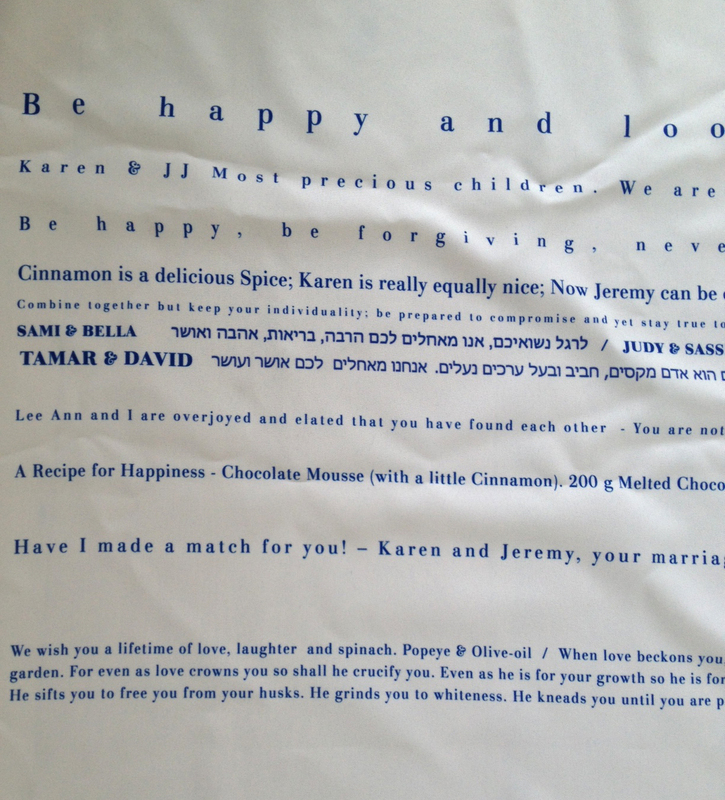 We decided not to have a wedding cake and instead created a special birthday cake for Sharon who set Jeremy and I up. 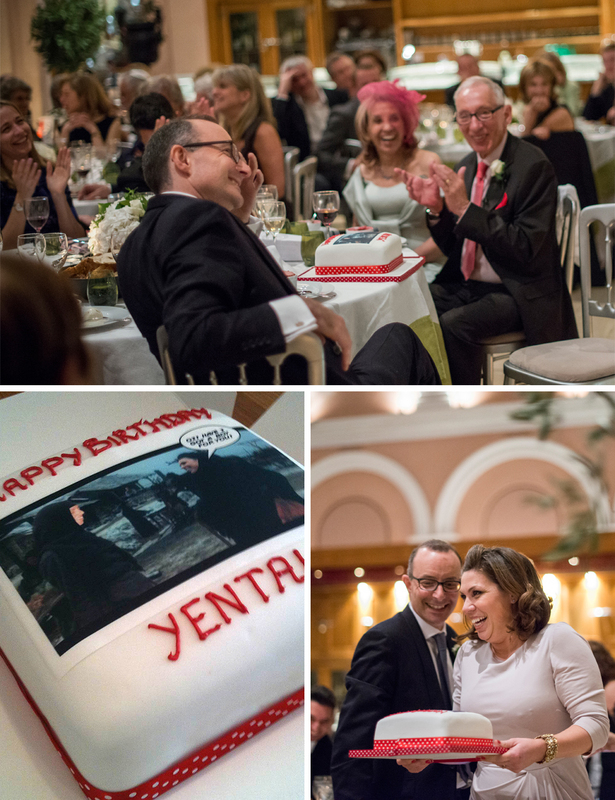 It was her birthday just a few days after the wedding and we wanted to honour her with a special ‘Yenta from Fiddler on the Roof’ birthday cake. I called her up at the end of my speech to present it to her and she was truly delighted and definitely taken aback! 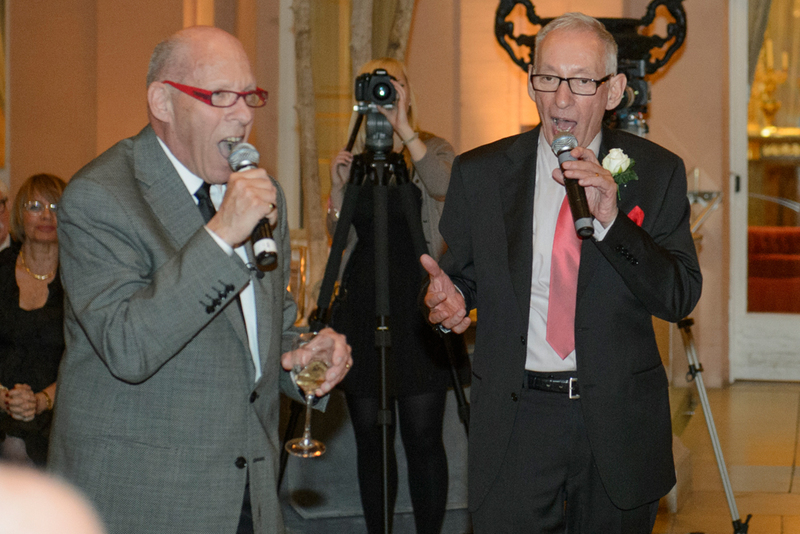 My dad and his cousin performed an amazing rendition of ‘Swell Party / Well, Did You Evah‘ from High Society that really got the party swinging – it was definitely one of the highlights of our evening! 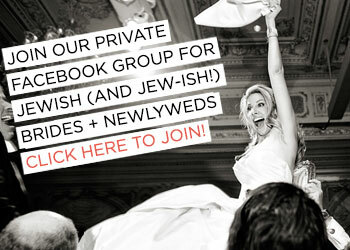 My cousin Jonny, followed them singing an incredible acoustic version of L’Chaim from ‘Fiddler on the Roof’. We just loved it! 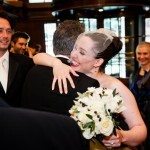 Our photographers were husband-and-wife documentary photographers, Mark and Marianne Earthy. Jeremy doesn’t like posing (or even producing a smile!) in front of the camera so it was important that we chose a photographer that really put us both at ease. Mark and Marianne absolutely did that and their storytelling and portfolio shots seemed so candid and touching. They were a delight to work with and we barely felt their presence yet they perfectly shot every moment of the day. Again, highly recommended! 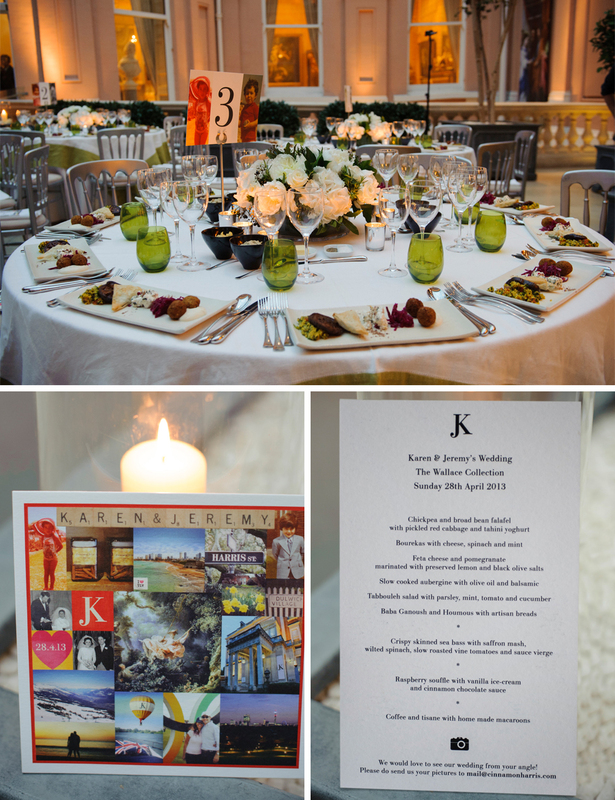 I had moodboards on Pinterest for every aspect of the wedding which really helped to give guidance to suppliers. I thoroughly recommend doing this. 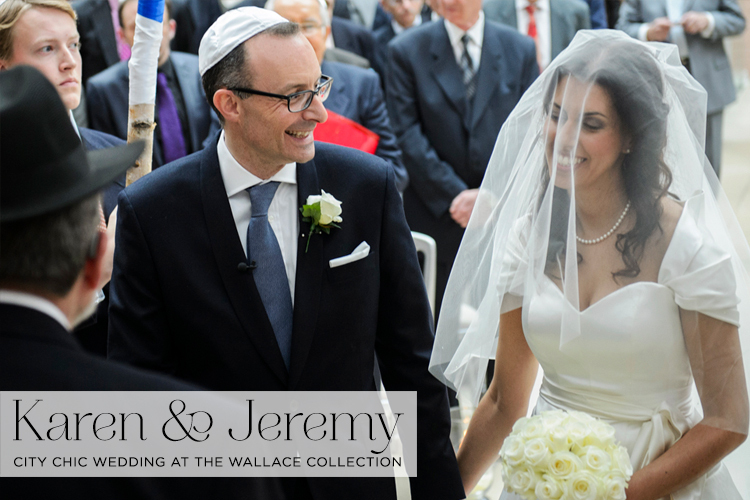 Jeremy and I were lucky enough to be surrounded by family and friends that helped us achieve our perfect day. Do take the time and effort to make the details personal to you as a couple and do things the way you want them to be and not to fit expectations. 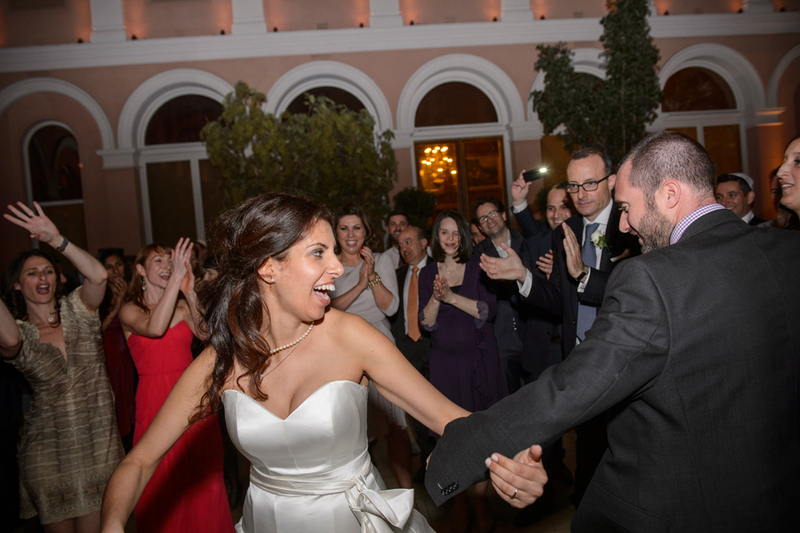 Everyone commented on how our wedding was so unique to us and a perfect and happy celebration of who we are as a couple and after all, that really is what it’s all about — celebrating the union of two people making a life-time promise in front of the people they love and care about. 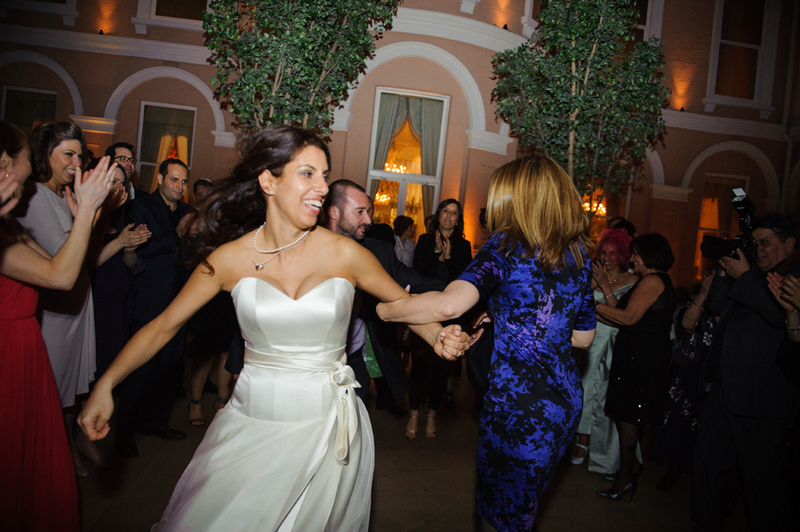 Your wedding looked amazing and lots of fun. 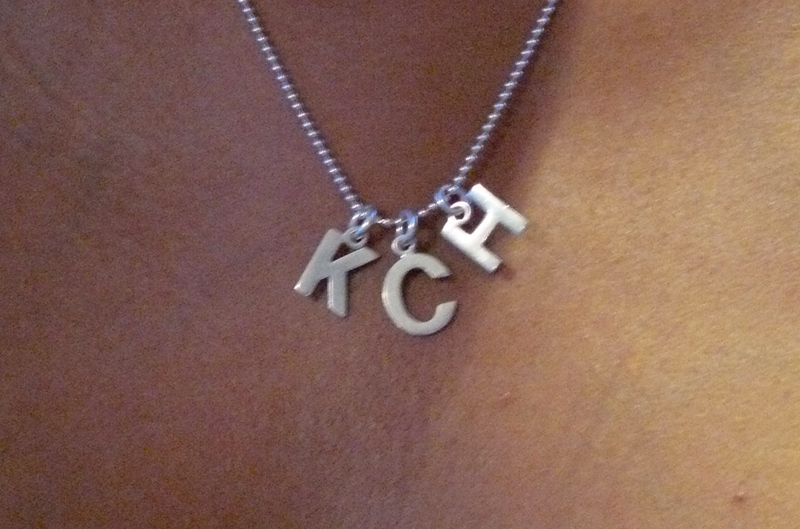 Love all the personal touches you did to make it a little more special. Always think that such a wonderful thing to do if you can. The venue is stunning and I have to mention the red shoes. LOVE brides who go for coloured shoes. Oh you are very sweet! 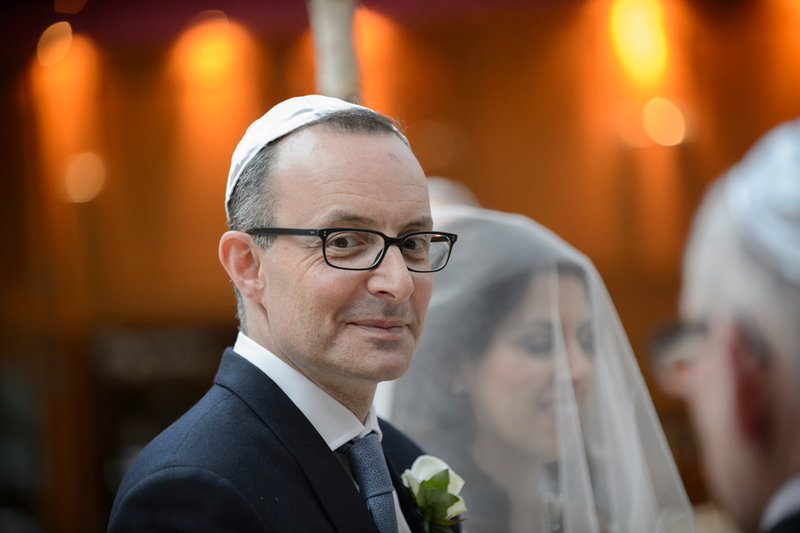 It was really important to me to personalise our wedding as much as possible with lots of creative touches, even though we wanted to incorporate lots of the wonderful Jewish traditions. Delighted to hear that you loved the ideas! I know I already told you this, but you are a girl after my own heart with those red shoes! Such a beautiful wedding! Glad you stuck to what worked for you. And yey for doing your own speech! What a stunning venue. 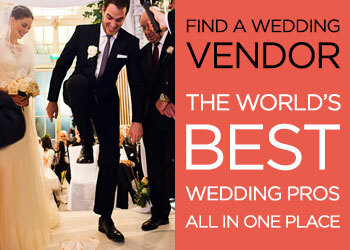 Gorgeous looking wedding … And red shoes are totally the way to go!!! Annabel that is such a lovely thing to hear – thank you. We had a celebration that felt right for us and I’m glad I got married that little bit later to have the confidence to do so! 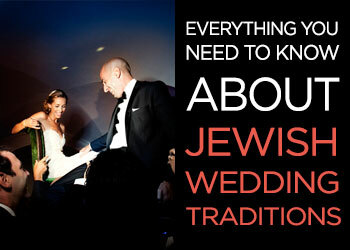 Centuries-old traditions were very important to us but we wanted to make the day reflect us as a couple too. Thank you again for your lovely comment and I hope we can meet in person in 2015! Gorgeous wedding! I was wondering where you got your got your table numbers done? What a beautiful wedding! 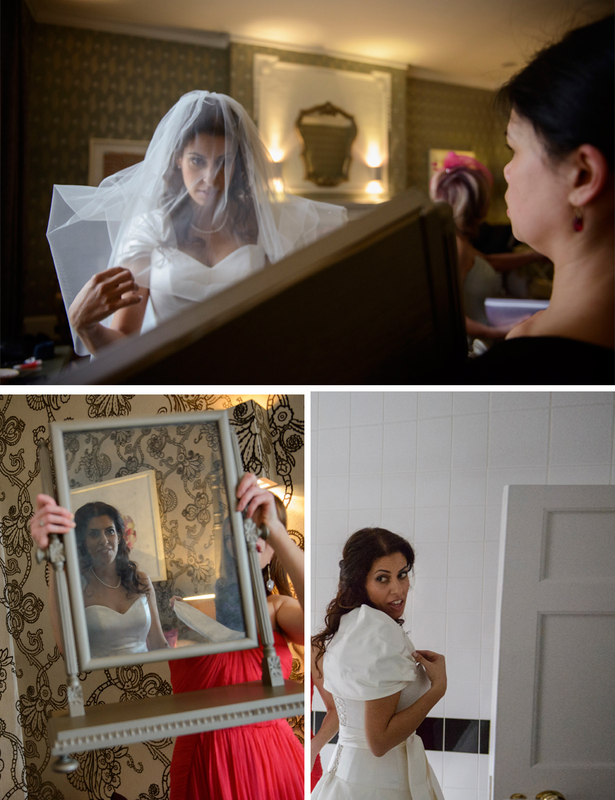 You made a gorgeous bride! 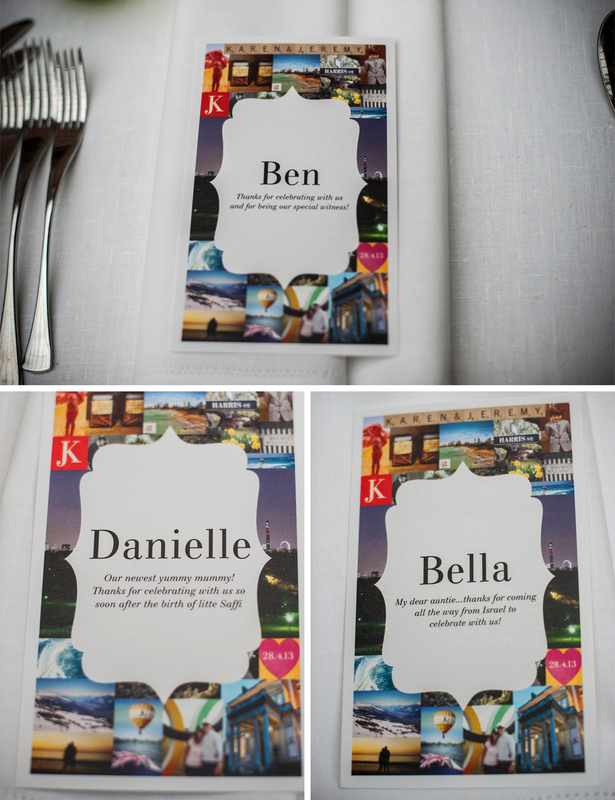 I am obsessed with the idea of the personal notes to your guests! I think I need to do this. We are making little tags for our favours which will be at each seat, so I could definitely incorporate a personal note. I hadn’t been planning to assign seating (just tables), but I love this idea so much that I think I’m going to have to do it! What an amazing wedding you had. 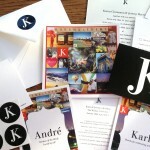 I loved your personal invitations and your logo. 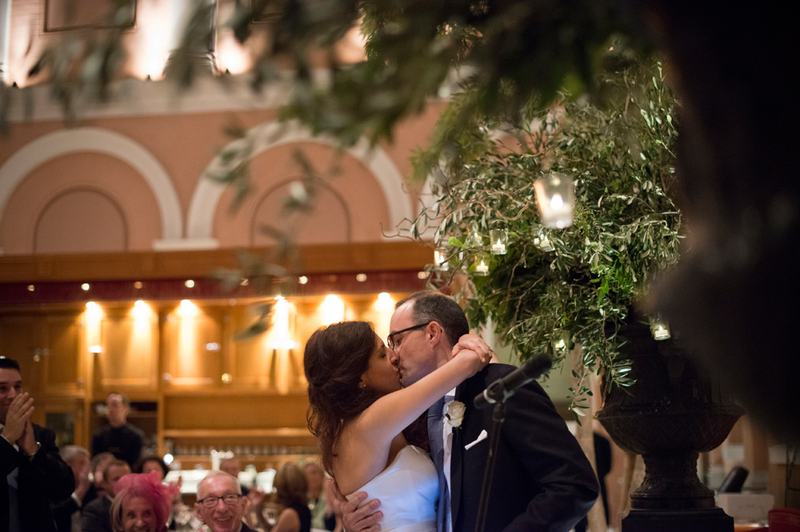 I also loved your venue with the outside, inside feel. How long did it take to find that Gem? 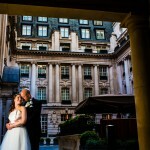 Brilliant central location in London is hard to find, I know as we looked at a lot for our wedding too. I hope you have something lovely planned tonight!